YOU’LL FIND OUT WHEN YOU’RE DEAD! AND DANCE AND DRINK INSTEAD! 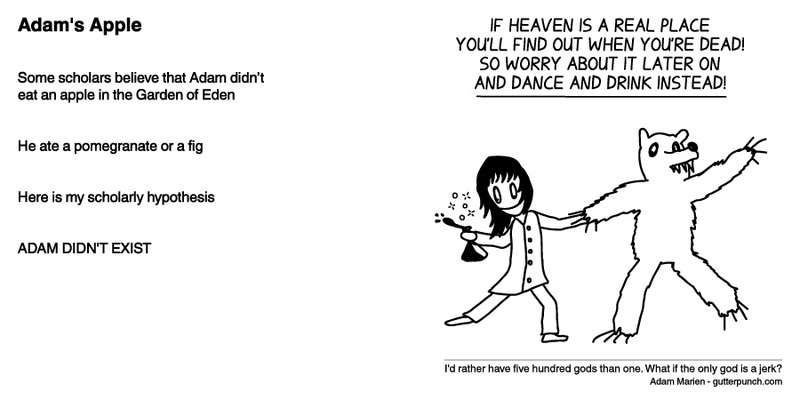 I'd rather have five hundred gods than one. What if the only god is a jerk?